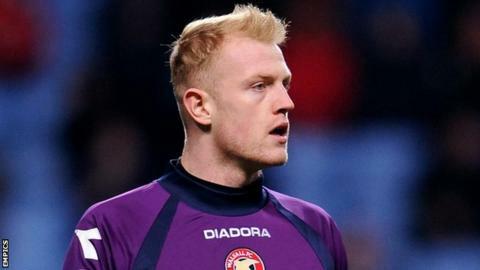 Walsall have re-signed Wolverhampton Wanderers goalkeeper Aaron McCarey on loan until the end of the season. The Ireland Under-21 international had an eight-game loan spell with the Saddlers in November and December. Walsall manager Dean Smith acted after Ian McLoughlin, another loanee keeper, was recalled by MK Dons. "I had no qualms in bringing Aaron back, he had a really good spell with us before Christmas," Smith told the club's website. "Aaron will compete with David Grof and is a welcome addition to our squad." McCarey added that he was delighted to have the opportunity to play more games. "It's good to come back into a winning team that is moving in the right direction and hopefully I can play my part in this continuing," he said. "I already know everyone at the club, so it will be an easy transition and I am looking forward to getting back into the swing of things."